Wanna Be Like These GUYS? As the saying goes, it is definitely the survival of the fittest. With more and more people getting influenced, impressed and enlightened on the benefits of maintaining a fit body, fitness seems to be the new trend. Most people hit the gym to get the much hyped ‘six packs’ while others resort to more traditional and conventional methods of fitness workout. … in today’s scenario, men are as much conscious about their looks as women, or even more. If you are planning to embark on the journey of body building (or muscle building), read on to gather some useful pointers. The first and foremost step is to consult a fitness expert. This is very important as they will guide you in your journey effectively. If you are dealing with other physical ailments, getting a doctor’s approval is extremely crucial. Discuss your plans with your doctor and note down the pros and cons and then weigh them both and make the decision. A fitness expert will design a workout plan based on your body type. Another important step is to explore your body type. You need to be absolutely familiar about what works for you and what doesn’t. By doing this you are eliminating the possibility of risk or physical damage. Know your stamina or energy levels and work out accordingly. Do not overwork yourself. Some people have higher stamina and that helps them workout for longer hours while others get tired soon. It is okay even if it takes a longer time to reach your goal. It is very important to commit yourself to whatever you are doing. Binge workout never leads to good results. To begin with, set a goal or aim for yourself. Decide what exactly you want to do with your body and how and also what levels you wish to reach. Having a clear defined vision always helps and keeps us motivated. Working out regularly and committing yourself wholeheartedly to the task makes a world of different and helps you in acquiring results faster. The first and foremost step of any good workout or fitness program is to fuel your body in the right way. Make sure it receives all the essential vitamins, nutrients, proteins, fiber and everything that keeps it going good for long. Try to discuss with a health expert on a good diet plan and try to keep to it. Instead of loading yourself with three heavy meals, try to include smaller meals into your schedule. It will also deter the cravings from getting the better of you. Avoid processed and packaged foods like a plague. They generally fail to offer much benefit. Instead opt for a home cooked healthier meal. 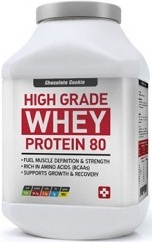 Consider supplementing your foods with with High Grade Whey Protein 80 by BauerNutrition. 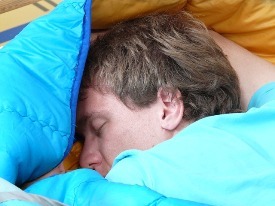 Sleep is yet another important muscle building essential. Our bodies require ample rest and sleep to produce the muscle your crave for. Proper sleep induce strength required to get going through the day. Try to fix a schedule and follow it. If possible, sleep at the same time everyday as this will help you solve the sleeping disorder, if any. Once your body is well-rested you will feel energetic physically and mentally and this will also radiate a positive energy all day long. You will be able to focus and perform better at your workout sessions. Before you start on your body building journey, get a full body check up done. Make sure all your basic medical parameters are well within normal rates. Keep a tab on your blood sugar levels and make sure they don’t fluctuate often as it might lead to several repercussions pre and post your workout schedule. Maintaining blood pressure levels is also equally important. Once your body is internally fit, you will be able to keep to your workout schedules without much hassle and reach your goal faster. 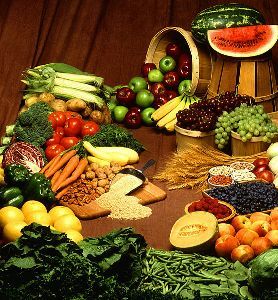 It is not always possible to get all nutrients and vitamins from natural foods alone. For fast and long term results, taking external supplements is required. And talking about supplements – most Pros swear by them for their successes! I also advice you discuss with a fitness and/or medical expert who will prescribe suitable supplements for you based on your body time. 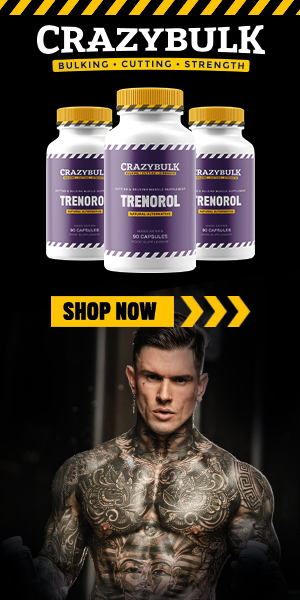 Or, get your muscle building supplements from reputable manufacturers such as CrazyMass and HGH.Com. These are major companies with track records of researching, manufacturing and selling effective, safe supplements to complement your workout for fast and MAXIMUM results. Never ever go overboard with supplements. Follow the instructions to avoid negative reactions. Consume it in its right dosage to get suitable results. Also get supplements that will help you hydrate and inject protein into your system. HGF Max and Clen XDV by HgH are highly recommended by Pros like Tricky Johnson. If you would like to see the suite of amazing products of this company, click here now. They manufacture 100% Premium and exclusive line of supplements. And the best thing about CrazyMass and HgH.Com is the fact their products are well-known brands without side effects. Cardio activities are important to keep our body stable and flexible. It is good for keeping the body fat in check and also prevents the risk of cardiovascular diseases in the long run. It tunes our body to take on more and helps us build our stamina, and boosts levels of endurance. Martial arts such as kickboxing. All you need to do is to fix up a plan or a strategy and stick to it. Try to alternate between different exercises to avoid boredom and lack of interest. Another important focus is on building muscles. Burn Fat, Build Muscle. Muscle building catapults the process of weight loss by burning fat and burns huge piles of calories. It also helps in improving the metabolism. Since you have allotted time each day at the gym, it is important to make the best use of it to derive maximum benefit. This is to say that you should get more exercise done in the given time. The ideal way to do this is to include exercises that target more than one muscle groups. For instance, the shoulder press focuses on the shouldered and the triceps. The squat deals with the hamstrings. Bench press will include the shoulders and the chest. Include exercises that focus on more than one part of your body. By doing this you are ensuring overall muscle building or growth and not just focusing on one sole part. This method will provide faster and effective results. This is a very significant workout tip for all those heading for body building. At the end of the day, it all comes down to how much weight you can lift. Try lifting weights minimally initially and as your body gets stronger and used to the activity, try to increase eventually. You will know you have built muscles or are building if you are able to increase the amount of weights you lift. If you find yourself stagnant or unable after a point, it just flashes the fact that you aren’t building as much muscles as you should, which defeats the purpose of lifting weights. Another very important focus is the abs. Including abs workout in your fitness schedule is extremely important. It strengthens the muscles in your body and improves the overall flexibility of the body. It is suitable for all those who are aiming at six packs and tummy tucker moves. Please note that Abs workout is not just for the tummy but for all other parts of the body as well. Choosing suitable exercises depending on the areas that require fat burning, helps greatly in terminating the unwanted fat and helps achieve good shape and fitness. Involving simple abdominal exercises can work wonders for your body. <> The oblique crunches focus on getting rid of the love handles. <> Bicycle crunches help in burning fat and points the abdomen and hamstrings. <> V-Ups engage the upper and the lower abs. <> Reverse crunches attack the lower abs. <> Leg lifts helps in strengthening the muscles in your legs. It is highly important to give your mind and body a change regularly. Once you have followed a particular strategy or workout plan diligently and earnestly, try to device a new plan. This is done because our bodies, over a period of time gets used to the activities and fail to produce new results. The human body system soon gets comfortable with a routine, and we refrain from making newer discoveries. This refers to a stage when a person no longer feels any benefit or muscle gain from his workout. He is said to have reached a stage of plateau or stagnancy. This defeats the mere purpose of hitting the gym. Finally, before I drop my pen: Try to plan accordingly to train your mind and body to produce maximum results in the given time. 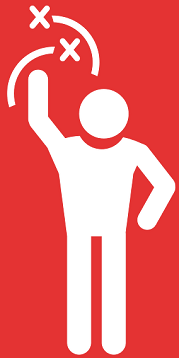 Do you have any query, question or suggestion for our guest Expert? I have always wanted to use supplements to enhance my workout exercises and build sustainable muscles. But am always nervous about making the right choice when buying them. How do I know I am getting the right ones? First let me say that you are not alone in this league of those asking, “Will this muscle supplement work for me?” This is perfect to ask and even doubt, mostly for beginners. However you should also know that as there are scam products so are 100% genuine life changing muscle enhancing supplements such as legal anabolic steroids and HgH supplements. Do the first hurdle is the locate reputable manufacturers and distributors of credible, proven and premium bodybuilding supplements. Wow, thanks for the very helpful information. I will read the links and see what I can learn. Thanks for the resources. I appreciate it very much.